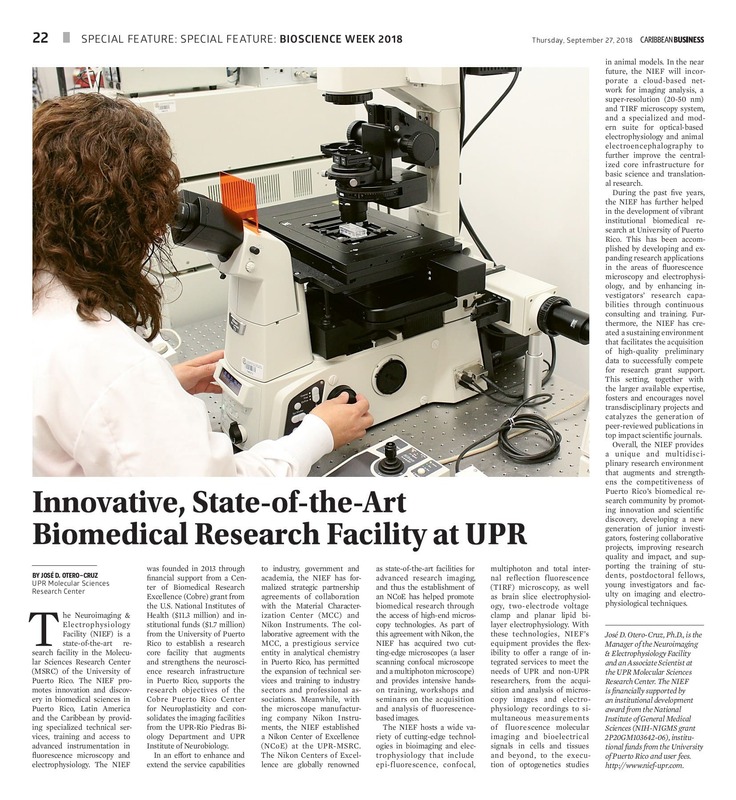 Dr. Otero-Cruz, NIEF manager, published an informative article in a local and specialized newspaper about the goodnesses of having a scientific facility such as the Neuroimaging and Electrophysiology Facility (NIEF) at the University of Puerto Rico. 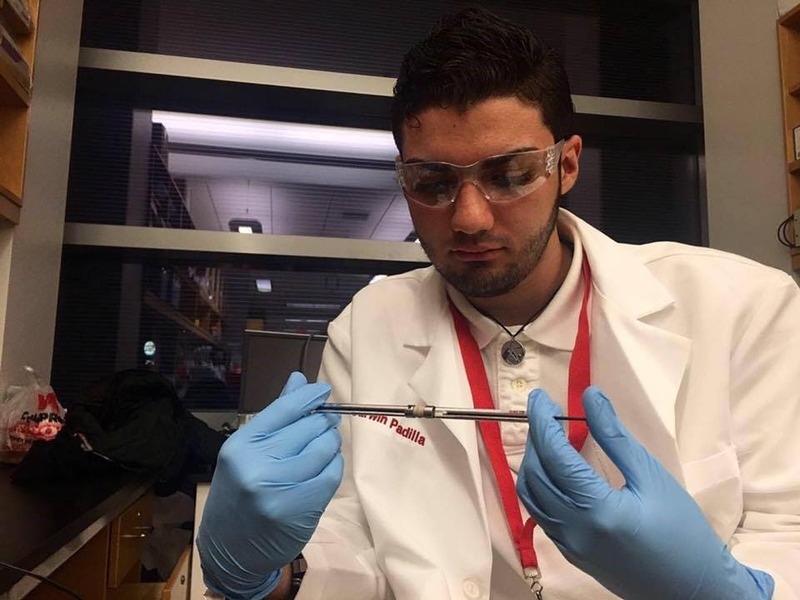 This article is part of a series of articles dedicated to Puerto Rico Bioscience Week 2018. Caribbean Business. Thursday, September 27, 2018. 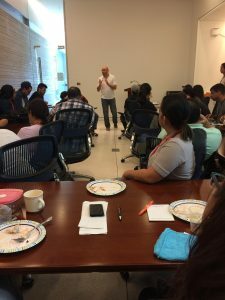 Special Feature: Bioscience Week 2018. Page 22. 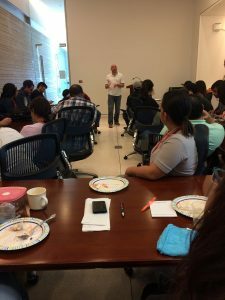 Dr. David Otero, NIEF manager, delivered a pitch in the Blitz Talks section at the UPR Molecular Sciences Research Center. He presented NIEF’s facilities and services that are available to undergraduate and graduate students. 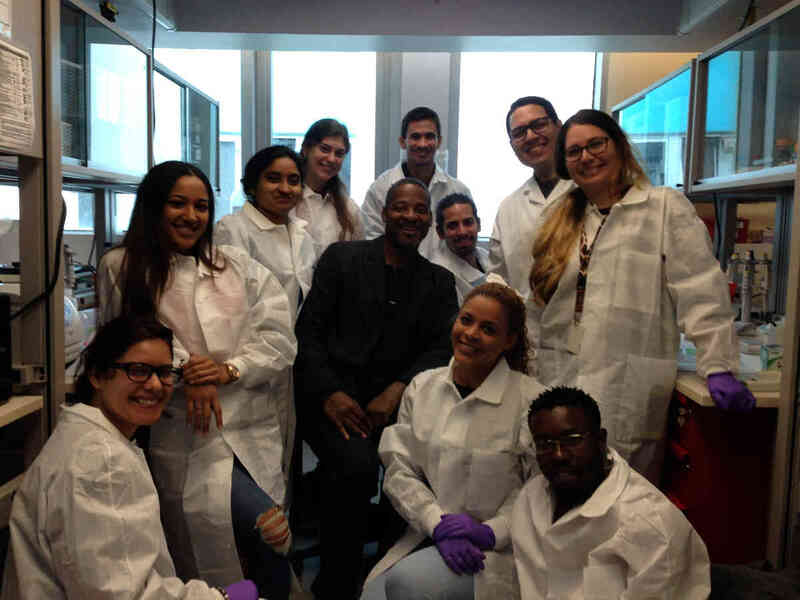 NIEF staff participated in the UPR Molecular Sciences Research Center’s Open House. 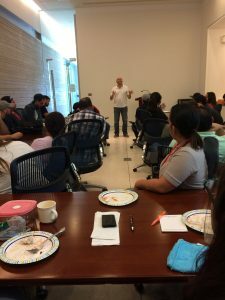 In this annual outreach event, high school students and community had the opportunity to interact with scientists, participate in scientific demonstrations and talks, and take tours throughout MSRC facilities, including ours in the NIEF. Dr. Amelia Merced, a biologist and microscopist and our collaborator at UPR-Institute of Neurobiology, participated as a science mentor on the PBS Kids show SciGirls that aims to engage girls in science, technology, engineering, and math learning and careers. 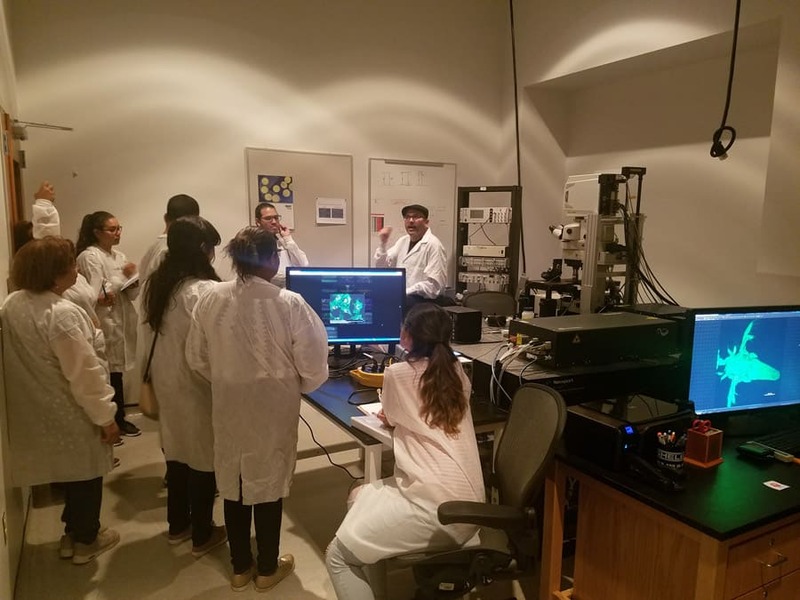 NIEF staff work with high school students that participate in the ACS Project SEED summer research program, providing them working experience in confocal microscopy and electrophysiology techniques. NIEF is an integral part of some academic courses such as (BIOL 6999) Special Topics in Modern Biology course of the Graduate Biology Program at the UPR-Río Piedras. In these courses, NIEF staff provides working experience to students in confocal microscopy applications.